If a picture is worth a thousand words, can you imagine the impact 24 frames per second can make? In a picture, we focus on detail, while in a video we focus on the movement. Movement is life, your life, and the lives of your loved ones, and video coverage will conserve it for generations to come. We offer an add-on that is extending our coverage beyond the wedding itself. This means that we can cover your flight, your arrival, your excursion, the time with your family at the beach, you partying with your friends at the resort or anything else you might want during this very special vacation. You haven't flown to this beautiful destination because you wanted to have an ordinary wedding. This means that we are able to retouch some of your images right away on the day after the wedding, so you can send some pictures back home to those who couldn't make it or post them on your social media without having to wait until you get back. We are located in one the most diverse cities in the world- Toronto. We've covered Sikh, Hindu, Chinese, Korean, Urdu, Jewish, Russian, Italian, Greek and many other kinds of weddings. We can only say one thing: while we are all so different there's one thing that is identical all over the world and that's love and happiness. We use electronic cameras that do not make a sound when the shutter closes. This means that during the most important parts of your ceremony you will only hear the sound of two hearts and perhaps some waves kissing the shore but not a camera clicks. For a long time I dreamed of a wedding at sea and now my dream came true. We ordered the services of this photographer because judging by the portfolio he already had experience with weddings in such exotic places, and we decided to spend on Goa. I wanted something beautiful, original and with high-quality processing. This photographer did everything as it should and even more, provided all the sources and album of 100 processed photos in a fairly short time, you will agree that this is just a colossal work! We really enjoyed working with him, there was no confusion, he managed to catch the true emotions and convey the real beauty. We decided to have a wedding in an exotic place in the Bahamas. We used the services of this photographer. Very nice person and great professional. The work of the photographer is extremely pleased, because he photographed almost everything and from different angles, and the pictures were extremely high-quality, colorful and very beautiful. It is immediately evident that people understand in photos and is really a great connoisseur of art. In general, I am very pleased with this photographer, and therefore I am sure that I will use his services more than once. It is also worth praising the rather pleasant prices for services. I recommend. By the choice of a wedding photographer, I took it very seriously, this is the person on whom it depends on you pleasantly in the old age to review the photo album or not. It is a bad idea to save on a photographer, it should be the best, but at the same time it is necessary to communicate with him before the wedding, to tell how you all imagine, to understand whether it suits you, whether he sees it the way you see it. I found such a person. Our wedding was in Jamaica, only me and my husband, well, a and photographer. I do not like celebrations with banquets and drunken guests. The photos were amazing: beautiful, warm, summer, with a soul. It is immediately evident that our photographer does his favorite thing, and not just goes to work with a camera. With the choice was not mistaken, now I recommend it to everyone. 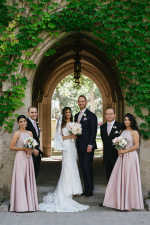 We trusted this photographer our the best day, and with confidence, having looked through our wedding photos we can say that we have chosen the best photographer. For the photo session we have chosen a great place - Cuba. The photographer is very positive, a polite person, arranged us for an enchanting photo shoot, and also he found beautiful places, beautiful poses and ideas. I and my husband were satisfied, we are very happy that our photographer captured the best moments of our most important day. Quality photos are not similar to each other, the best perspectives and the most beautiful moments. I worked with photographers on my job (connected with tourism and PR), and during that time I got stronger in the opinion that the first thing inherent in a pro photographer is luck. Whatever technique is - without luck (and correct understanding of the composition) - a recognized master is unlikely to become. It's ephemeral, it's unfair - but it's so, you just have to accept it. So - this photographer definitely has it. We agreed with this him about shooting our wedding. We did not luxuriate, we did for ourselves, for only the closest ones. But! We spent our such mini vacation in Montenegro (there were personal reasons for that), which we wanted for a long time, and we fooled around with local, strange quality work and people did not want to communicate. And we were lucky with our master not only for money (agreed in advance, flexible schedule - flexible price) - among the ordered session, besides just good professional work, a good half turned out to be extremely successful photo-pictures that deserve victory in contests and endorsements of descendants. The photographer was advised by my friends. We met at the cafe to discuss various proposals. We wanted something special, not a photo of the Rostral columns on the arrow. In the end, we chose the Caucasus for the photo session. The shooting took place in the hotel Kazbegi Rums on an open terrace overlooking the mountains. It was an indescribable feeling from one kind of majestic mountain range, and here I am also in a wedding dress with my husband. On this day, I enjoyed the process of shooting, and all the ideas were prompted by the photographer. Six months later, reviewing the photos I can safely recommend this photographer as a professional. We with the future husband have decided to spend the wedding in an exotic country - Jamaica. Since the wedding was planned not quite standard, I also needed maintenance staff with experience of holding such events. In particular, with particular scrupulousness, I approached the issue of choosing a photographer for my wedding. And on the recommendation of my friend, I hired this photographer, who has a lot of photos of weddings in such countries. The photographer earned our respect due to his work, because he showed all his professional abilities and made super high-quality photos. I also note that with all his skill, the prices of the photographer are flexible and quite acceptable. I was completely satisfied with the photographer. We wanted to hold the wedding unusually and with elements of exotics. We selected Hawaii as the venue. The place is exotic and at the same time very popular. The photographer, who was recommended to us as the best, turned out to be a real professional of his business. The originality of the pictures, the knowledge of the intricacies of the camera angle and composition, the ease in orienting on the terrain and the ease in communicating with even the local population - inspire respect. With him it was easy - he was always near us and ready to work. Encouraged at the shooting, prompted gently and delicately. I also liked the democratic approach in financial matters - everything is reasonable and adequate. We were satisfied with both the wedding and the photo-video shooting. The pictures are bright, saturated with emotions, made with a soul. Great work! Are there any additional fees on top of the package price? On top of the package price, you are responsible for travel fees and accommodation for the team you hire, as well as safe transfers to and from the airport, and in between locations. Do you use aerial drones for your destination photos and videos? Yes, we do! Aerial coverage is included in every destination package. What's your turnaround for destination wedding photography and videography? We edit a few of your pictures the next day after your wedding so you can share them with your friends and relatives even before you are back. The rest of the images will be submitted to you in 2 weeks after the team comes back, and the video 1,5-3 months after we agree on the soundtracks. Do you bring backup cameras? Yes, we do, for both- photo and video, to be safe. How can you guarantee that make it to our wedding? We make an official legal agreement that both sides sign, then we take a 60% deposit from you, and give you back an invoice, so you’re covered by the law. If something unexpected happens to a team member who is already registered for the trip, we are responsible for paying any fees to change the name of the person travelling. Is it possible to shoot some extra photos of us besides the wedding? 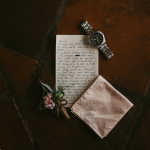 Usually, we come for more than just the wedding day – a few days before to do location scouting, and a day or two after the wedding so yes, we can cover your whole vacation.